For the best prices on Flat Cheek Western Snaffle Bits, buy online from Horse Tack Now. Treat your horse with this comfortable bit and go for a ride today. 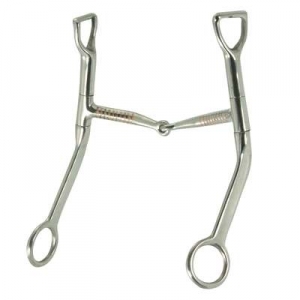 Take a look at this horse snaffle bits that we have in stock. This western snaffle bit also comes with a copper inlay and measures 5 inches in size. Rest assured this bit will provide maximum comfort for your horse.